If there’s ever a time to ‘not drop the ball, on the way to the finish line’ as a Lightworker & 144k Member … now would be it. No matter what you’re going through in your 3D ‘life-situation’ … unless you’re in the hospital or something … be ready to blow your cover as a [LEGITIMATE] undercover agent of Light & get ready to swing into action at short notice in the coming months. … you can expect to enjoy the metaphoric & emotional teeter-totter ride of the nastiest kind … that I can’t say I’m in the mood for. I assume you’re not either. Yes, war is rough, but it doesn’t have to be that rough. “The hammer is about to drop, as Attorney General Bill Barr met John Huber prior to FISA declassification and mass arrests,” a Pentagon source noted. are the White Hats following esoteric knowledge, with Q’s countdown ending on the Equinox? or do we actually have their attention, and thus … we are now synchronizing. the alarm & concerns over the whole ‘One World Order’ … ‘Monarch’ thing – with the recent interview of a MI6 agent, explained. how to best handle & prepare for the countdown to … the March equinox. What it holds for us, what’s likely to happen, and where does the 144k stand in all this. 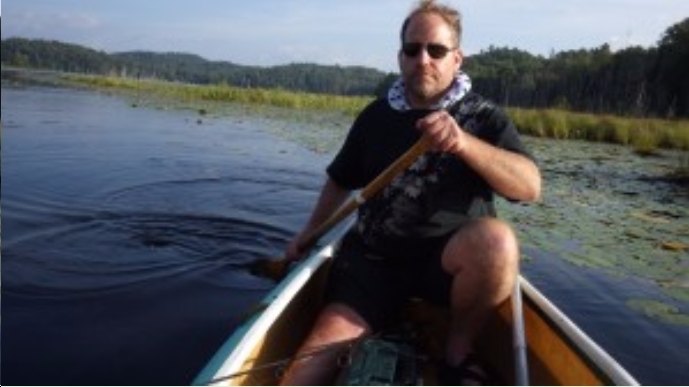 both former CIA operations officer Robert David Steele, and a Pentagon source promise that Jared Kushner will be remove from the White House, and release of 9/11 disclosure will go ahead, to put an end to Zionism (where Nazism comes from) in the US at least. how the role and impact of the 144k does so much for the ‘conversion sequences’ Cobra has been posting about. and you feel the calling or desire, watch the short video at this link & click to join! Let’s take charge & Liberate This Planet! 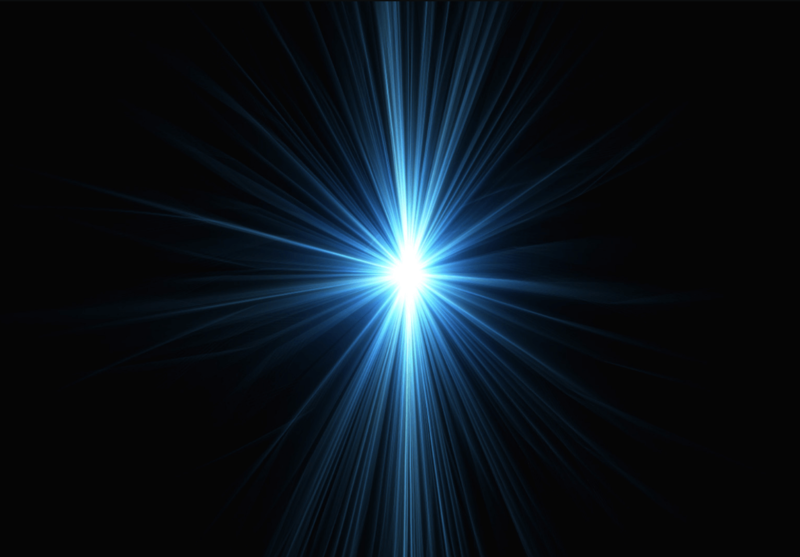 Why it’s CRITICAL for ALL LIGHTWORKERS to show up for the RETURN TO LIGHT ACTIVATION on JANUARY 20/21st !!! Our projected consciousness is able to underlie the consciousness of the astrological bodies to make their energies more compatible with the human population. In effect we create a kind of scaffolding for our intentions to be carried by the astrological bodies so that the collective experience is of a higher frequency…Higher frequencies always dominate lower frequencies…so the Cabal is always aced by Light Workers….as long as the Lightworkers show up to the Meditation! For today, we’re going to talk about how to connect with the global grid… what the global grid is…. how to connect to your heart chakra and get your heart chakra to connect to your mental chakra and the objective is to tune into the heart and lower the frequency. 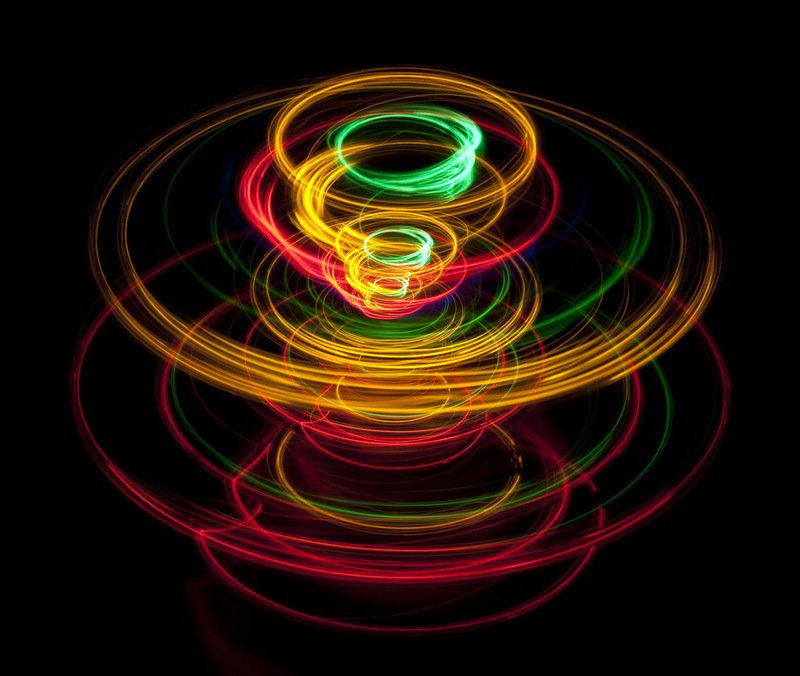 The heart frequency is around a hundred beats per second – that’s one tenth of a Hertz and if you can focus on your heart and the beating of your heart, then have the intention of holding in your mind whoever it is that you have the most love and affection for – the heart is a frequency that is your strongest connection to the global grid. It is the best way to connect to the global grid … through your heart and your heart frequency and getting your mind and your heart in sequence or in harmony is really the best way and I think the purpose of this meditation is to express our own personal power into the grid and allow us all to connect at a loving frequency. SCIET DYNAMICS is a simple concept that enables us to visualize the formation of the etheric field and how it is developed or how it is manifested through each of us by all our movements… and all movement in fact…. and how it exists from the beginning of the void and then manifests into 3D. The underlying reality is that by using by understanding that, we can understand how the sphere of consciousness that surrounds the earth – sometimes called the Noosphere – and it refers to the field of consciousness around the planet. Other people have called it the morphic field, the bio grid…. it’s all related to the same idea… and in a summary of that… in SCIET dynamics is that all resonance results in an ongoing recording of that resonance around whatever is resonating so the planet that has given rise to life resonates with life and that resonance is stored … continuously fed into a sphere of energy around the planet and so everything we do….all of our movements … all of our life is connected to this field and one way to think of it is to realize that in science the idea that light can both be expressed as a particle and as a wave. Well, if you take that idea and you think about being incarnate versus not being incarnate … when you’re incarnate all of your life energy which is focused one location… so that would be the particle stage of the light that energizes us. When we are disincarnated that energy becomes a wave and that wave is spread around the planet as a layer of consciousness that’s why when people are in the afterlife, you can connect to them regardless of where you are because they’re pretty much everywhere they are essentially a frequency that surrounds the planet and they live amongst all the other frequencies that surround the planet. So the afterlife is state of awareness that the consciousness can manifest within. So this spherical field of energy that our consciousness creates is what we are energizing with our meditations and that’s why I’m referring to the heart frequency and connecting to the heart because in in developing this idea of communicating how to connect to the higher frequencies and connect in order to meditate at a level that will connect to the global grid, it’s really necessary to find some common denominator…. something everybody has and everybody can connect with going through the same kind of visualizations and so Cobra has taught us about breathing and listening to your breath and that’s a good way to start because that connects you to your body…. but beyond that you can connect to your heart and for some people if it amounts to connecting to their pulse but essentially what you want to do is focus on it with your mind and connect to it in a visualization and hold that visualization and try to merge your meditative state with your heart frequency. The global field is… if you can imagine yourself as at as a cork floating on a pond and the ripples that move away from you on the surface of that pond… that would be like your interaction with the global field. 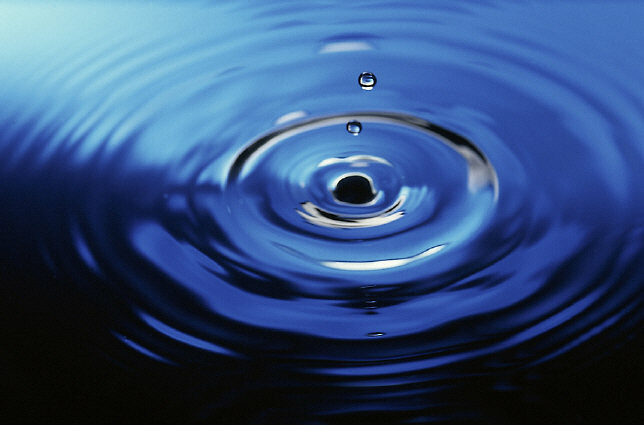 That rippling effect is occurring all the time and so the objective is to make that rippling effect almost invisible… but and at the surface and extending away from you in all directions…. to enable a full expression of your personal energy. Now Cobra wants us to basically utilize our heart energy…. our higher consciousness…. to be in connection with our highest purpose, spiritually. As part of this we decided to emphasize three meditations… one on each phase of the moon… new moon, the first quarter, and then the full moon lunar eclipse meditation that Cobra is promoting. The purpose of that is to enable the intention to be set… because the nature of the moon cycle is that if you want to get something accomplished, the strongest effect is that you set your intention for what you want for the cycle at the NEW MOON and then you re-emphasize it on the FIRST QUARTER MOON and then at the FULL MOON you do everything you can to manifest it. 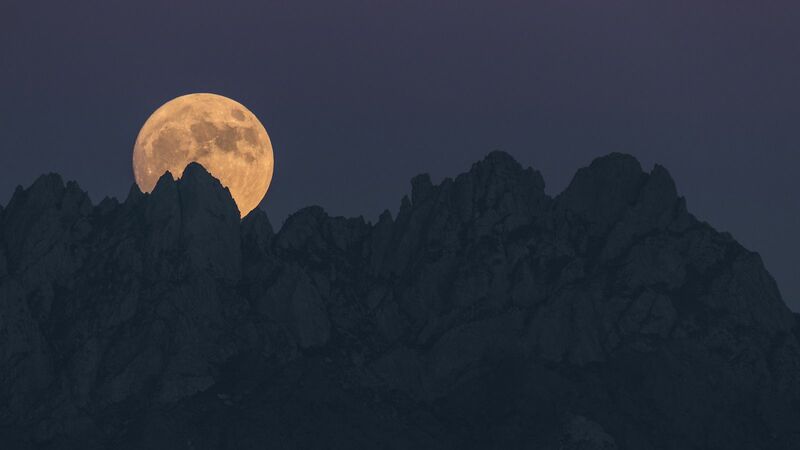 A lot of people think that this full moon should be extremely powerful – it has the opportunity be extremely powerful – and so that’s our objective – to embed an intention into it at the new moon and re-emphasize it on the first quarter and then manifest it on the full moon. We have Cobra’s Return to Light Activation – I’ve got Cobra’s web page up here – he’s talking about the Grand Square – the powerful energies are coming in at this point and this grand Square is involved it looks like it’s Uranus an asteroid – but you know the thing is to understand what the energy is like here. When you have a Grand Square in a person’s chart it’s like coming to an intersection in which there’s a four-way stop and if you’ve ever been to a four-way stop where people are not asserting themselves… they just sit there and it’s there’s not any movement. Everybody’s in plain view but they’re not moving. To work with the Grand Square you have to assert INTENTION and MOVEMENT and so one of the advantages to working with this energy is that while the actual opposition to the Moon and Sun exists, it is open…. it doesn’t have any forward motion… in other words it doesn’t have its own frequency expressing….. and so it’s much easier to put INTENTION into the moon at that point and so the Moon-Sun opposition…. for a moment it is basically open to as much input as we can manifest. During the aspects of the moon…. the full moon, the new moon, the first quarter moon, there is a shifting of gears in each of those stages and so when that shifting occurs, the energies are most open to us and our imprinting our intention onto them. The main thing I think that everybody can identify with and understand is that when we are meditating at the same time we’re in RESONANCE with one another and that resonance within that sphere…. within that field…. it’s like the resonance of two corks bobbing on the same pond – they create a lot of mutual intersections that then are at higher frequencies. How does this relate to The Event and anchoring the frequency that we need to trigger the event? Well, good question because I think the thing about The Event is that it is a pulse from the Central Sun that is expressed through our Sun and that then sort of is expressed throughout the solar system more or less simultaneously through the resonance of the planets with the Sun and I think that there’s an expectation that we are very important in triggering it because until we can overcome the negativity that’s being generated by the population on the planet, it’s going to be very hard for that frequency to be generated. So that’s really the focus here is that if we can do the three meditations, that will give us an opportunity to connect to the light forces and set up a Trigger Event. The Trigger Event is something that’s got to be coordinated in order to get the most effect, and so having this coordinated effort is really important. So if I understand you right, I think you’re saying that even if we are few, if we raise our consciousness at exactly the right time – which is at this new moon with a solar eclipse (and then again at the full moon lunar eclipse) it affects the whole Noosphere – so it affects the whole consciousness – and raises the entire human consciousness, is that right? 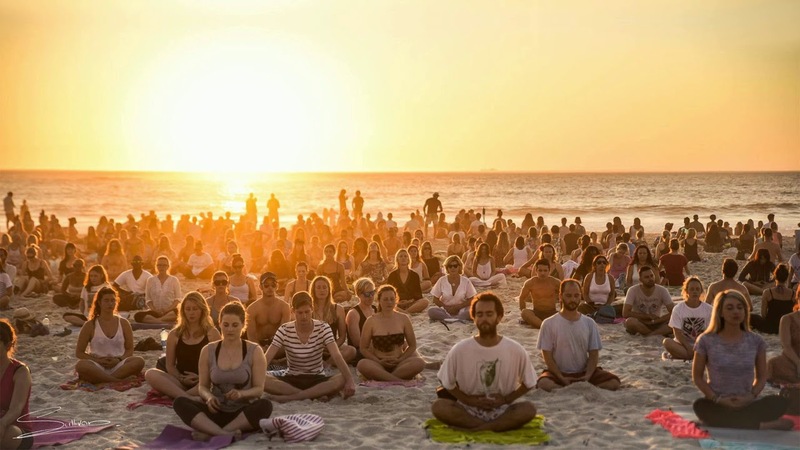 Right, because you know they’ve done a lot of studies on meditation and people doing meditation groups – doing meditation in municipal areas and they have demonstrated that there is a reduction of violence and hostility when the frequencies are being generated at the local level. And so the same thing occurs globally and the deeper you can go, the greater the effect. 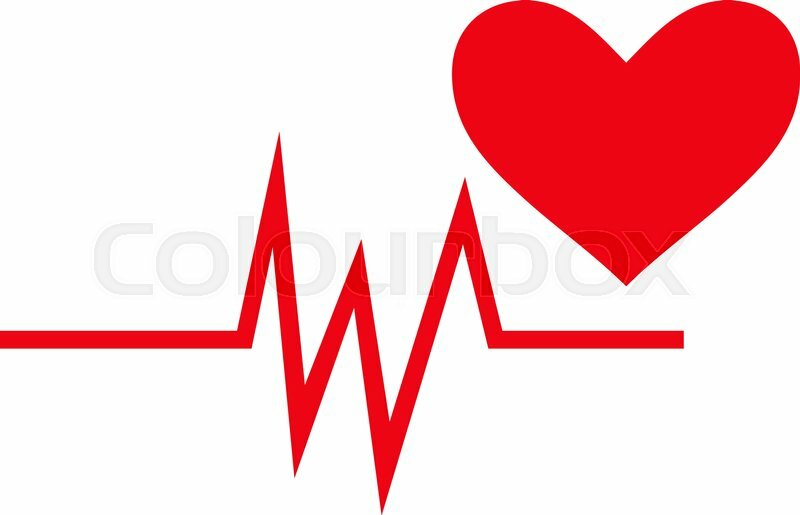 That’s why I was talking about the heart frequency because a hundred cycles per second – a Hertz is a thousand cycles per second, so it’s a 0.1 Hertz which is the cycle of the heart – and that’s very low. I mean, when you talk about Meditative States and the Beta and Theta waves of the mind, those are in Hertz, so you’re talking about 4000 Hertz – as opposed to 100 Hertz – so – focusing on the heart and connecting it to the mind and making an effort to connect the consciousness of your mind to the frequency of the heart – this can be done with the visualization – this is the strongest way. Because when you visualize something, you are in effect making a pattern of it in the ethers and that pattern is interactive – and so the power of visualization is very real and powerful – and if we can visualize ourselves meditating with the heart and at the same time being at the center of a global field that we are essentially radiating into – and radiating with … resonating with…. then these kinds of visualizations will enable us to have much greater effect. Our objective here is to come up with a uniform strategy to have the greatest impact … and you want to know more about the Noosphere because the Noosphere is the basis of our shared consciousness on the planet. In your body you have you have multiple levels of awareness…. different frequencies. For instance, your brain generates a field inside of your head that allows you to model what’s around you, and this level of frequency is used to for telepathy and it is basically how we connect with each other. But there is a higher frequency that’s related to the pineal gland and that is also related to the DNA – think of the pineal gland as your personal Stargate so that when you are able to use your pineal gland effectively you can project yourself wherever you want in the world. Most people today suffer from calcification of the pineal gland – it’s been deliberately damaged by the powers that be because they really don’t want humans to connect to their power – but the frequency consciousness that we all have at the pineal gland level is where the Noosphere really resides. When somebody is in the afterlife they can resonate with other people – living people – and generate essentially what’s known as a sphere (or orb). 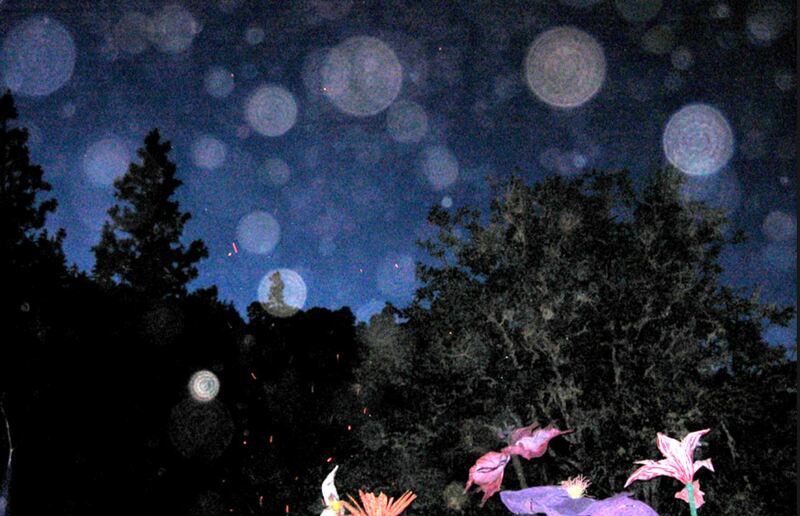 That’s the term people use – orbs. Orbs are essentially a pattern similar to what exists in our skulls – and what we create and use to think with. It is essentially built of the chakra energy that we manifest when we’re alive and when we die and go into the afterlife. 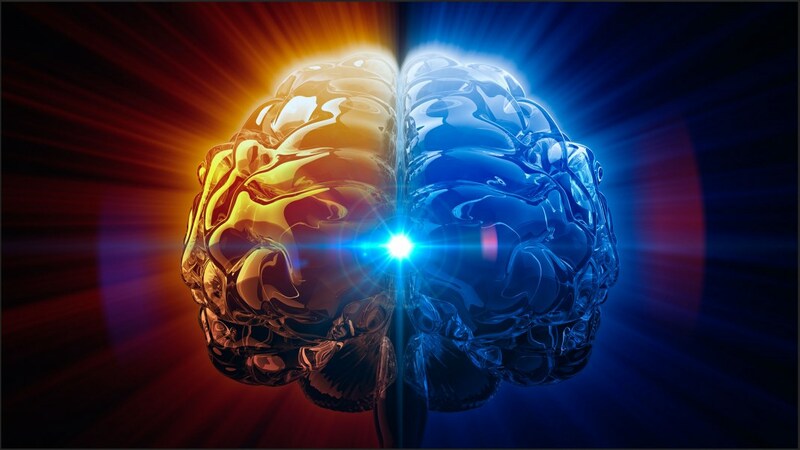 But when people are in the afterlife and when they are connecting to the living – and particularly in areas and have a high frequency of love around them – they can bring that frequency from the pineal gland level into the brain visualization level. That’s what creates orbs. Orbs are the manifestation of the consciousness of people from the afterlife who are essentially in resonance with the living, so you find them you find them commonly around people who are psychic, and in areas where you have a lot of psychic energy – a lot or a high frequency where the veil is thin. But for most of us, the important part is to actually connect at the pineal gland level. This is the frequency that comes in our DNA. The DNA is a long strand and it is comprised of pairs – and down the middle of the DNA strand is a full band of energy that we can connect with. When the DNA frequency is understood it will be understood that the it’s the same frequency that is being used by the pineal gland to connect to our visions – and to connect to other planes of existence – and so I think if we if we can focus on connecting to the pineal gland – or through the pineal gland – which is in the middle of our head – and use that energy…. because when we talk about our going inward when we meditate, the part of our brain where the pineal gland is located is the middle of our center of our consciousness and so whether we’re trying to, or not, this is where we have a most effect. If we can project our center of being into the pineal gland and at the same time connect it with the heart chakra or the frequency of the heart, then we’ll be able to have the most powerful effect on the energy of the planet – the Noosphere. And it’s not so necessary to have large volumes of people but when you have people who are connecting at the highest frequencies then you have a much greater effect than people connected at the lower frequencies. The higher the frequency, or I should say, the smaller the part…. that is in homeopathy the greater its effect…. the more powerful it is. And so when we’re meditating, the higher the frequency, the smaller the part that we’re able to work with, the more powerful it is, globally. When people learn to meditate, they focus on achieving a high meditative state. It seems a little irrational almost to talk about achieving these high states with a very little preparation. That’s why we’re focusing on the heart rhythm… and focusing on centering it – connecting with your pineal gland – and then the intention has to be related to the love you feel…. your internal connection to your highest state of love that you have…. that you have manifest in yourself. For most people it involves their real experience of love within their life. A family member, a mate, a child, a parent, grandparent…. something like that. And so the intention of expressing that love should be then to push that love to your loved one…. imagine them and project your love at them….and to them…. and as part of the Noosphere, you’re sure that they’re there…. and you’re expressing it to them, this has the effect of benefiting the entire field. The key is for us to try to identify something in our life that we can all connect to – these would be shortcuts to achieving a high state of frequency and connecting into the global grid or the Noosphere. 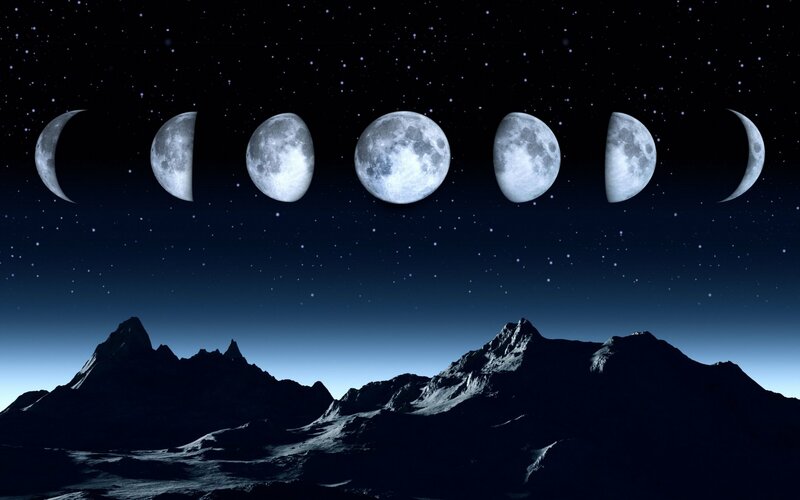 Another question some people have had is why do we meditate with the moon phases…. I mean some people here and there have talked about the moon being an artificial body and you know dark civilizations on the other side of the Moon. 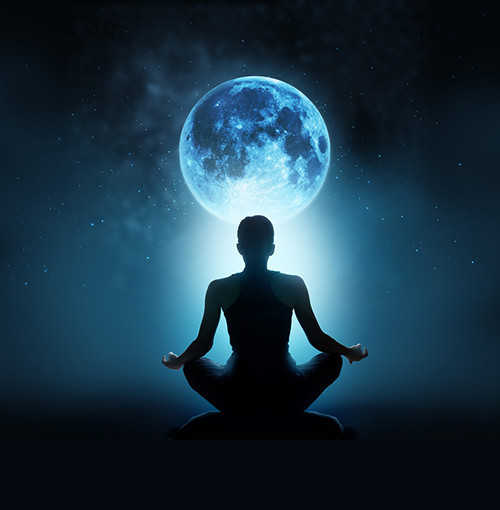 Is it safe to meditate with the moon? Why is that a good thing or not? Okay, well it’s a good question. In a sense, yes, there are negative energies on the moon and the moon is an artificial body. There’s a lot of historical references that indicate that it wasn’t here originally….but humanity has evolved our consciousness on the planet in resonance with the moon. We’re all aware of this. Where the moon came from or who else might be on it is not as important as the fact that it is a part of our own individual consciousness… and the effect of the moon is based on the cycles and those cycles are part of what we experience. For instance, if you were using them the moon cycles for your personal growth, you would experience a new moon phase where you would be able to focus on your goals for the month. 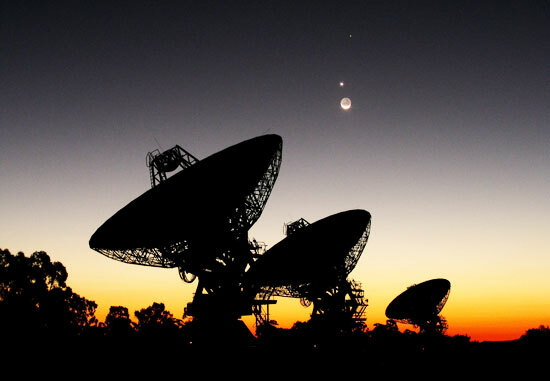 Now, as the moon goes around the solar system…. or goes around through its phases… it is aspecting, conjuncting and applying aspects to all of the planets in the solar system and in your natal chart. So as the moon phases happen over a month, every aspect in your own chart goes to a whole evolutionary set of phases . So when you have ideas…. you have projects… internal projects…. each of those projects is in resonance to all of these aspects of your personality… and so a full turn around the moon of the Moon…the moon around the earth… allows us to evolve each of those centers of thought and processing… through a full cycle. So the moon represents a full cycle of all of our processes internally…. and that is our personal connection to the moon. We’re not talking about projecting your consciousness at the moon and basically using the moon energy….. you are already using the moon energy…. 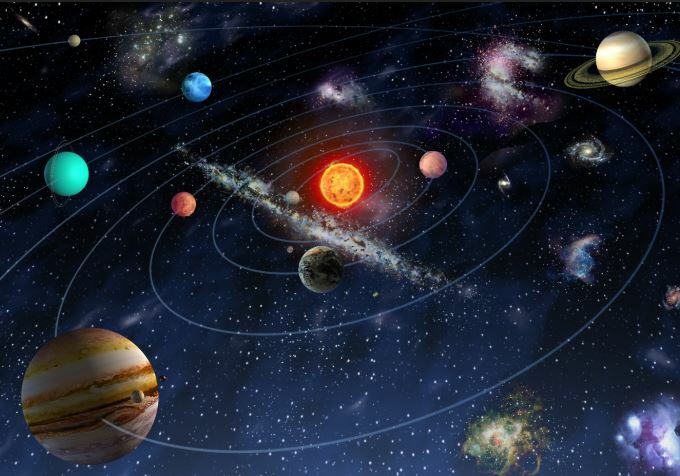 it is a part of your overall resonance as a being who is in resonance with the solar system. And so it’s really about using the natural energies and harnessing them to your higher purposes. Like I said, when the moon is on exact orb – when it is exactly conjunct on the new moon and exactly opposition during the full moon – it is the case that for a moment energies are neither applying (nor waxing or waning) – they are at a standstill for a moment – and it’s during that point that time that we can infuse it with our own positive intentions. It’s a similar thing…. not as direct and powerful on the first quarter…. but the first quarter does have that moment…. in which it goes from separating to applying…. and so it’s during that stage that we have the opportunity to input our wishes and intentions. The moon is a natural force for us and if we can connect our own cycle into it then that makes our own cycle more powerful for us personally…. and throughout society. So that’s really the objective – to connect our own cycle into the cycle of the entire society. I think you were saying that if our intention at the full moon is – per Cobra’s Return of Light Activation – to anchor maximum light through our bodies and trigger the Event…. I believe you said that at the new moon you don’t have to exactly know how to do that…. you just set your intention to do that….. and your expectation that that will happen at the full moon. Can you talk more about that? When I first began to research psychic power when I was in my 20s….the one thing that occurred or showed up in all of these discussions about magic or manifestation is that you have to have EXPECTATION…. and I don’t know if everybody can identify with the idea of what expectation is….. but if you’re a child and you are expecting something for Christmas and so all the time before Christmas you’re anticipating it and then when you open your presents there is that emotional charge that goes into that event – your expectation of your desired result is such that if you don’t get it you’ll feel crushed. So there is an emotional drive associated with expectation and that emotion has the effect of creating a vacuum. When we emotionally desire something, we are essentially anticipating its existence… yet it doesn’t exist…. so anticipation and expectation have the effect of what I wrote about this earlier on prepareforchangeleadership.org . I called it “Vacuum Forming Your Desires”. Essentially what you’re doing is you’re projecting…. you’re making room in space for something to exist. In a sense you are forming your dreams in space so that reality can flow into it. 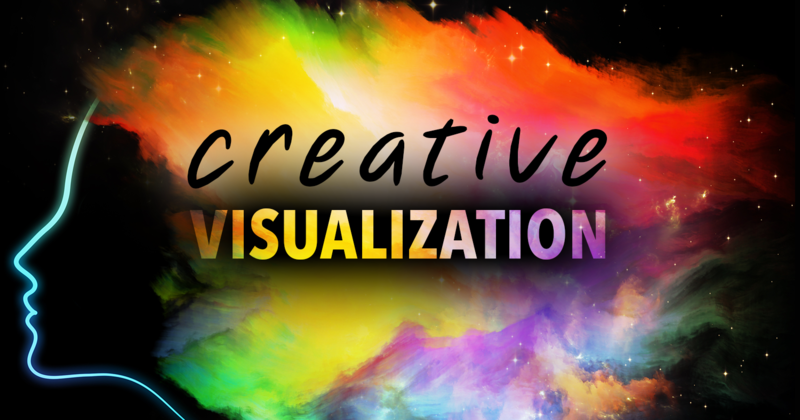 The effect of course in a practical sense is that you have to know that something is there… you have to visualize it…. you have to make room for it. The expectation has to be so well expressed that the universe has to manifest it because you’ve made it so it’s out of balance if it doesn’t. And so the power of expectation and manifestation is connected to that force of personality that we all have…. and it’s something that many of us don’t really harness the way we did when we were children. We don’t anticipate what it is that we want actually coming into our lives … we don’t make room for it in advance… we don’t make it so that if it doesn’t, there’s an empty spot that has to be filled anyway. We might be desiring a massive participation (in our meditation) … we might be desiring a global pulse of higher frequency manifested at this time…. in a sense it’s not entirely just up to us about manifesting Ascension. When we’re ready there will be a pulse, but we have no way of knowing all of the factors that are involved and how Source detects that pulse. We know that the higher beings – the Pleiadians and such – are working on this and feel like they are aware that they can detect it… they know when it’s going to happen to a certain extent…. or I shouldn’t say they know when it’s going to happen…. they know what it is and will be able to detect it when it happens…. whereas most people have no idea what’s going to happen, nor will they first recognize it. The ability we have to not feel crushed because our expectations were met can’t be connected to imagining that the Event itself is going to happen. We should be focusing our expectations on enlarging the number of people who are available… people who are participating and having the highest pulse energy…. because it is this energy that’s going to manifest it, and cause Source and the higher forces to, as Cobra has said, when we can do this, this is when we will be perceived as being ready. We can manifest it not directly… but by manifesting a higher frequency that will make it acceptable to the higher forces for it to happen. We can say “we’re ready” and I think that’s the expectation we should have is that we’re going to make it clear that we are ready for higher frequencies to come. That’s the only feedback we’ve gotten over the past years. I mean that’s the only thing that we’ve gotten about our meditations is that we had some that were successful, and you might say “moving the needle”. I don’t know who’s watching it but it appears to be that there are higher etheric states that do monitor it… so basically we need to send a signal out to them that we’re ready. I guess it’s like when you send a wave across a pool and it just keeps coming and it gets more and more till it rocks right out of the container…. because we are seeing more people wake up…. we’re not seeing the changes we want to see, but we’re seeing more people get much more aware. It’s interesting…. we started talking about the Event – and the Event included mass arrests and a higher frequency, and full disclosure and five or six things that we identified as being part of the Event and now we’re seeing a lot of people on the internet who are Trump supporters talking about “the Great Awakening” and so on and so forth but they’re only like one dimensional compared to where we’ve been coming from all this time. They’re talking about mass arrests and that’s the one thing that they’re focused on… and that’s always been a part of our strategy because we understand that mass arrests means that everybody is going to be aware that our planet is going through changes. It’s going to signify to everybody who sees this that things are changing. We would hope the mass arrests will come with an announcement of a financial reset…. and regardless of the currency reset, there is a debt Jubilee which doesn’t have anything to do with the bankers, other than cutting their strings. The debt Jubilee is probably the biggest issue that will cause a global ecstatic moment. So that’s one of the 3D ways for people who are a little bit more 3D of saying we want change… so it’s like telling the Galactic Central Sun we want this and we’re ready. It’s always been my thought that when that when the global ecstasy that will come from a Jubilee when people are freed from debts… that this is a feeling that’s going to be unmistakable. I mean when there are different systems that are used around the world to measure the global energies… I remember when Diana died back in the 90s there was a notable pulse in the background frequency of the planet and people noticed that and wrote about it…. and this is the same idea. When the Event occurs, there’s going to be something that really rocks people’s boat. I tend to think of it as being the change in frequencies and being a byproduct of probably the debt relief. The New Moon sets intention but we can do that with just a few people. I mean we’ve got 25 people… we can share that energy and push it out there and that will have a very positive effect … because if we have the same 25 people doing it or more, then that’s like when you’re spinning something and you continue to give it a nudge as it spins. This series of three meditations will be giving the system a nudge each time. The need for impromptu mass planetary clearings these past few weeks and days has become increasing thick and fast. 1.Darkness ‘kicking up’ from its recently cleared safe-havens and attacking out of desperation. 2. 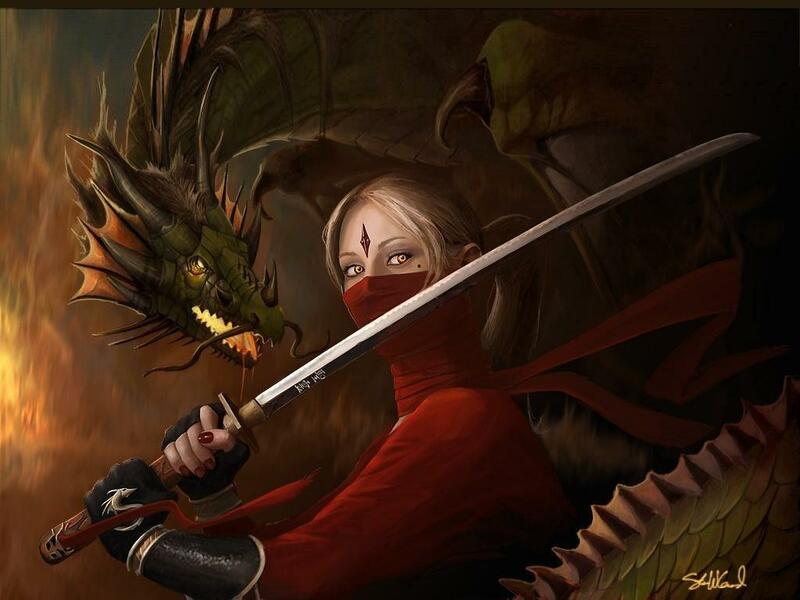 Deeper level darkness which starts seeing what’s happening, and having not yet been cleared … attacks the biggest threats to its existence from amongst the Lightworker population, and thus it exposes itself. 3. The physical Cabal using what’s left of their weaponry, causing more exposure of said weaponry. … for example, late last night…. I was lying on the bed, about to go to sleep, and I started seeing about 4 rough looking outlines of ‘rings’ layered over each other at different altitudes, above & around me … gradually spreading outwards. At first I though it was the ET/EDs breaking through the veil/grid, but after a bit of introspection … I saw that it was an anomalous negative vortex/wormhole being opened up by a physical Cabal low earth orbit satellite. You can imagine the rest, (actually … don’t imagine it, lol). So I had to get into ‘work-mode’ and clear that, because lots of entities jumped in (on the opportunity) too. And today a major planetary clearing was done on it, as well. Al this turned out to be necessary preparation for’D5′. I can’t give the details of this planetary clearing. It’s too sensitive. I’ll just say that – cosmic anomaly is to darkness … what water is to fish! I was ‘allowed’ to see the negative, vortex opening beam from the satellite, because help from the physical plane was needed to prepare things energetically for ‘D5’ to have the desired effect on the planetary liberation process. And me seeing this negative anomaly vortex, followed by the massive attack, was what allowed me to understand what had to be cleared. So despite the insane levels of PHYSICAL interference over Fulford’s first appearance on Ground Crew Command last week … it still somehow became a huge hit for listeners/144k Members, with some new information & perspective to boot. Yes … Ben was gong on about information that the savvy GCC listener knew already, but as you heard, I managed to extract some cool info regardless. So … Randy Cramer, if you haven’t heard of him yet, was was born in 1970 and shortly after his third birthday, he was conscripted into a program called Project Mannequin. Project Mannequin was a global effort to create a military super-soldier that was designed for the express purpose of becoming a faster, stronger and more moralized hero as opposed to a more efficient killer. For the next 14 years he received specific training which included a period of time taking part in another covert program called Project Moonshadow. Cramer revealed that Moonshadow was an off-shoot of the original MK Ultra project and comprised of a garrison of 300 super-soldiers in total. Cramer also shared that MK Ultra was a more trauma-based concept while Moonshadow was a much cooperative-based method. 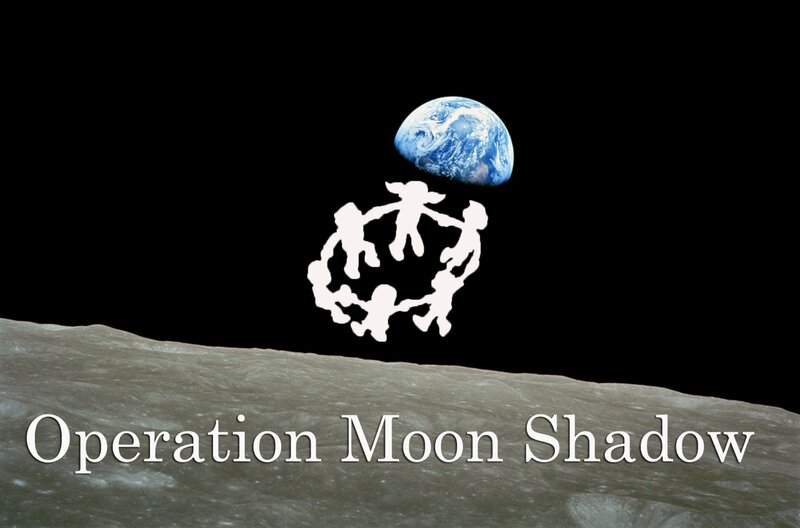 So this dives right into what Laura Eisenhower explained (more like revealed) to us when she was on Ground Crew Command a few weeks ago re: project moon-shadow. was there any DNA activation work in the program. what kind of psychic training did they provide. was the rest of the training similar in intensity & complexity as special forces? what were some of the most notable incidents of his tour-of-duty off world, as a super soldier. what part or branch of Solar Warden or other such organizations was he in. … and much more. It’ll be interesting, partly because Randy has direct access to USMCss command staff and intelligence staff. He gets his intel directly from them. The P2 Freemasons make an offer for peace, despite the fact that they’re asking for the status-quo to continue… (extremely funny). But this development is still a very good thing. Tune in to find out why & how. Banks & Post Offices & even schools in the US to close for the first time ever over a state funeral of a one-term past President who (from a mainstream perspective) didn’t achieve much at all a part from “liberating’ Kuwait, never mind that he died back in June, and his death was announced just before ‘D5’. ???!!!??? Is this the reset & mass arrests? Is it a rehearsal for the financial reset? Is it a subtle take-over of the Cabal’s banks’ computer system, that will still require a reboot, and let things continue for a few more months before it all happens? Rothschild agent President Macron backs down … after realizations that the French Military may end up siding with the protesters (French people) if he declares Martial Law. 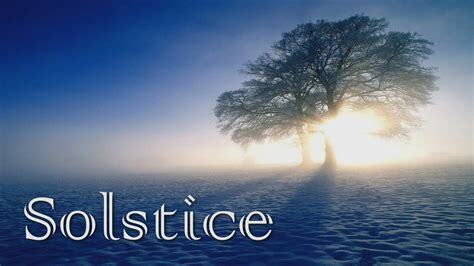 … so gear-up for a BIG Solstice 144k Mass Meditation in only 2 weeks, to end all this crap … once & for all! p.s. If you haven’t joined the 144,000 Army of Light that’s being built … and you feel the calling or desire, watch the short video at this link & click to join! Let’s take charge & Liberate This Planet! https://www.144kActivated.org (no need to join if you’re receiving this newsletter already) See you there! A major, stubborn & heavily ‘toplefied’ Archon Grid was cleared last Sunday. ….as always … this was in response to an extremely bad attack that started from Saturday afternoon & continued into Sunday morning. Similar to an attack that occurred early December of last year, this attack was also centered around anti-gravity plasma portals that would fly into one’s plasma body, and open up a portal. In tracing the source of this … a major discovery was uncovered. We’ll be providing you with the full report of this massive energetic event on this week’s show. Two BIG ‘awareneses’ confirmed with Cobra when I spoke with him last Thursday. 1) Yes … we do have MASSIVE powers of the kind that ETs & most EDs do NOT have … when we project our consciousness from the physical to the non-physical. 2) Our Galactic BRETHREN … do indeed commonly make their biggest moves & or have their biggest successes during our Mass Meditations. This confirms YOUR purpose for being here. Thanks to Cobra’s intimate conscious knowledge about the non-physical planes … I’ve finally been able to confirm what I’ve been saying at an intuitive level pretty much since the beginning of the show, and this should help us ‘rouse up’ the mostly dormant Army of Light on the surface of this planet. So join us this week, for one more interesting tidbit about the non-physical planes that Cobra revealed in our little chat, which I believe you’ll find fascinating. What the deal is with China. By this point, who actually controls most of China? … what are the primary controlling factions in China, and who controls their military? Surely the Cabal agents who control the Ukraine, know that Russia has been wanting & planning to invade them & kick them out. Why would the Cabal controlled Ukrainian Nazi regime start provocations with Russia? … Are there double agents within the Ukraine power structure that want the Cabal out? … or is the Cabal hoping use this as an opportunity to start WWIII, and use Ukraine as the sacrificial lamb? does the Cabal still have nuclear capacity? A massive milestone in planetary liberation was reached recently with the Rothschilds signing control of massive trusts over to other parties. What were these trusts exactly, and what international criminal investigations pressured the Rothschilds into losing control of them? Who controls the BIS … and what does this massive shift in world finance mean for the BIS? 2019 is shaping up to be the year of massive public trials, both military, civil & international. Is this the likely scenario … and are we expecting that it will culminate into mass arrests over …say a 6 month period, completing itself by the 2nd half of 2019? Any word on Ben being taken to Antarctica, with his trusty camera at the ready? Assuming Ben’s allowed to even answer this, is his SSP Alliance contact part of the SSP itself & is he generally posted off-world? … or is he right here on the surface, and not literally part of the SSP? Any recent news from this contact? A personal friend of mine has been trying to cash large bonds himself since about 2014, and has been threatened by the Cabal in doing so. Is Ben in the same situation regarding his bond? It seems the White Hats in the US are still in the process of consolidating their control over the agencies & military, with the interrogation & possible plea bargain with former CIA/NSA head Mike Hayden. Are they 80% there? … 90% there? As far as the US court system is concerned … is that just a case of cleaning out corrupt judges that are either secretly Freemasons or Satanic? … or is there more to it than that? There’s been a lot of talk about the Cabal stealing many seats in the US mid-term elections recently … and that the White Hats let them do it, with some exception to the Senate seats … and that the White Hats have closely watched over the election fraud, to use this information in upcoming investigations & indictments. Does Ben have any further info or updates on this? Apparently the White Hats were able to ‘clean out’ the Republican Party, starting in 2015 … but they weren’t able to do the same with the Democrat Party. Why is that? 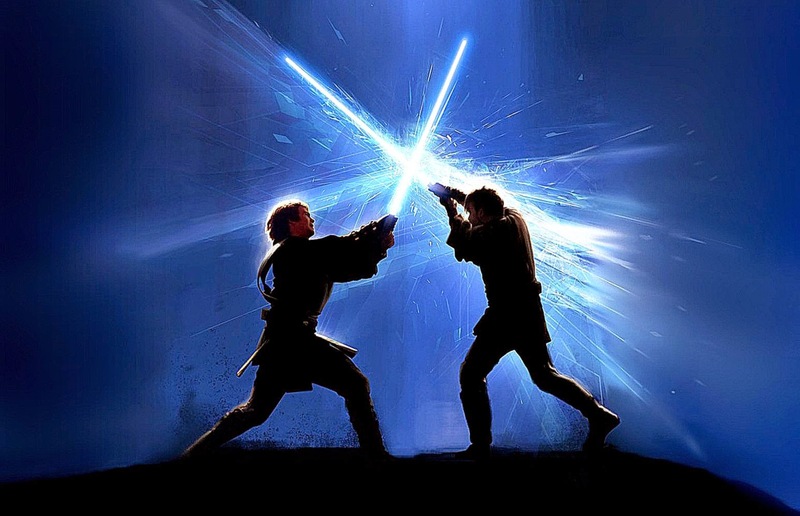 Can Ben send a message, on all of our behalf … to the White Hats & Agency types, that we’ll continue to do our best in shutting down the Cabal’s ritual black magic CRAP … in order to help their operations go smoother … quicker … and have better results, with less danger to themselves? We’ve now reached a point in the planetary liberation process where it’s now getting SAFER for ET Contact of various forms. More on the exciting – how & why – in the news portion of this week’s show. As for the Mass Arrests … It appears the Cabal is pulling every dirty trick in the book, to delay or prevent the confirmation of SCOTUS pick Brett Kavanaugh … which needs to precede the Mass Arrests. It is said that Kavanaugh’s confirmation will trigger the military tribunals. So clearly … the Cabal is simply trying to prevent their arrest by creating a smoke & mirror circus around Kavanagh’s senate hearing. And the 144k said NO. The 144k also said NO to the darkness that was pouring through opened portals via Luciferian rituals on the equinox that just occurred … throughout mostly the western hemisphere. After the clearing of the Luciferian mess … the 144k went on the transmutational offensive, tracking back the realms, sources & layers of darkness these charming non-physical characters were invoked from. So the 144k knew what they had to do once they were brought forth into our realm & exposed for us. After which, healing work was done on Gaia. Here’s just one 144k member’s feedback from last Saturday’s / Sunday’s 144k Mass Meditation. We made a HUGE contribution to Planetary Liberation, beloved army of light, and that helped shut down a lot of nasty things, which int turn greatly reduced the risk of further delays! So stay tuned for the next 144k Mass Meditation notification -towards the end of Oct mostly likely – barring any major geopolitical events. ET Contact Protocols Training This Saturday by ETLetsTalk’s Kosta Makreas ! There are strong signs that it will be quite safe soon to make regular telepathic, sleep-state and even physical contact with our galactic family soon. I explain why & how in this week’s broadcast. And all this ‘coincides’ with ETLetsTalk’s online training this Saturday on the protocols of how to properly make contact with your off-world brethren. It will be hosted by ETLetsTalk’s Kosta Makreas, a former partner / associate of Dr Steven Greer, and now head of ETLetsTalk.com. Kosta and “ET Let’s Talk” have been establishing regular contact for years now…learn how you can get involved and establish contact on your own. The Unknown Lightwarrior will be having a 40min chat with Kosta about some of the amazing experiences people have had while using these protocols… and more about ETLetsTalk and how to sign up. what the sudden increase in UFO sightings & Cobra’s two -EXMOSS section 1&2 fleet activated- intel drops have in common, and how this means we’re drawing very close to the big-one. Heads of 13 Bloodlines … the BIS … & Swiss Branch of the Rothchilds start negotiations for surrender. They’re panicking over inevitable ‘guillotine treatment’. The White Dragon Society responded the right way, except for this one thing … that MUST NOT be forgotten. Secretary of the Treasury Steven Mnuchin has been arrested, according normally reliable sources. Is this paving the way for the Treasury to take over the Fed? All Eyes On 144k Equinox Mass Meditation on 22nd/23rd Sept. Let’s MAKE The Mass Arrests Happen! 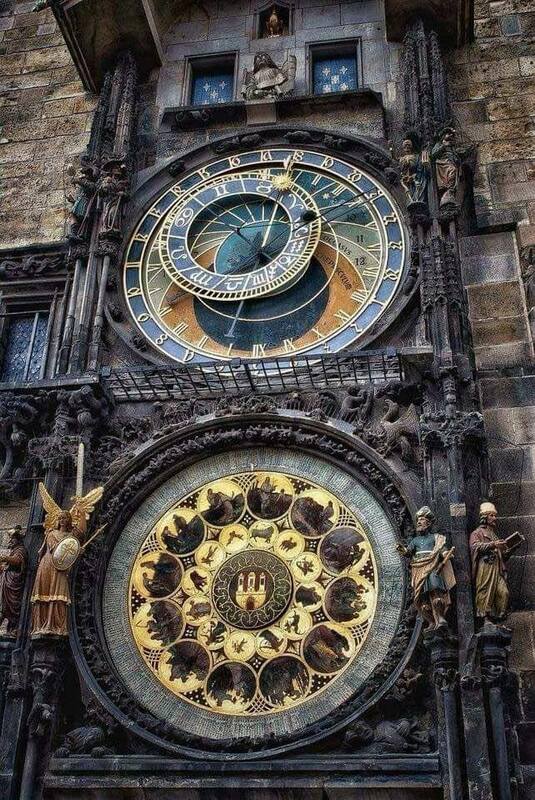 Installed in the year 1410, the giant outdoor clock in Prague is the world’s oldest astronomical clock still in operation. No show this week … for several good reasons I can’t speak about, except one … and that is the gathering & building up of our energies for another major confrontation during which our ‘partners in contrast’ will be doing heinous dark rituals on the 20th & the 23, (no citation provided, due to graphic details … and I refuse to link to such stuff from this sacred blog). Exact time & links for the official live broadcast & time-zones are below. ….to help trigger The Event! 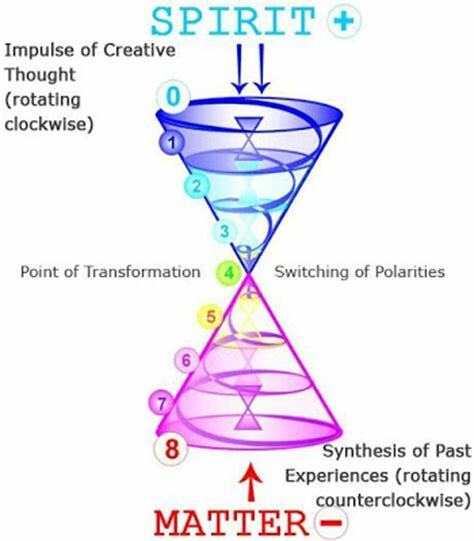 A Lightworker’s focus must ‘primarily‘ be on the energetic battle & mass-transmutation ahead of us. That’s our assigned role. If you’re serious about making the Event happen ASAP … that’s the attitude & perspective to have. It’s ok to be disillusioned & or jaded. [Energetic/Spiritual] war can be like that. But I don’t need to tell you that ‘the big one’ is about to drop … if it hasn’t already … and the White Hats NEED our support! rounding-up the over 51,000 people named in the sealed indictments…. nevermind the 1 million+ luciferians guilty of murder & pedophilia …..
all the while doing their utmost to insure it goes smoothly, without significant outages in goods & services…..
not to mention the still unactivated MK Ultra victims/super soldiers that haven’t been neutralized, and could be activated by the Cabal with a simple phone call and instructed to ‘run-amuck’ once the mass-arrests are triggered, (hint: mass shootings in every US city). and then there’s dealing with up to 50% of the population FREAKING OUT when they start seeing the mass mobilization of law-enforcement & military in full riot-gear & battle-dress … thinking that Trump has finally triggered his “fascist take-over”. Courtesy of the Cabal [establishment/mainstream] media. plus God-knows what else the Cabal will trigger to make the Mass Arrests a complete disaster. There’s LOT’S of moving pieces & MASS coordination of multiple law enforcement & government bodies the White Hats are wrestling with … to pull all this off, and because there’s so many people involved, it’s impossible to prevent leaks to the Cabal just before the shoe drops. It all goes smoothly … with no disruptions to goods & services (which can de-stabilize things -just what the Cabal has been praying for). No mass shootings or demolition of power plants or water services occurs in any city, and all MK Ultra victims/super soldiers are found & neutralized. … and that it’s all over finally, and America liberated….which means the rest of the world too. As Corey Goode & Wilcock have been reporting … law-enforcement & military personnel have been practicing inside hangars & warehouses breaking down doors & interior building maneuvers & arrest procedures for over a year now. You may just get it. I felt it very pertinent to include this old adage, because … if you think it’s rough now; wait till the Mass-Arrests! Everyone has been looking forward to the mass arrests, to the point where they can’t focus on anything else. If one thing goes wrong during this massive process of sucking the poison out of the host’s body … it could easily spiral into a huge disaster that will make what we’re already going through now look like a walk in the park. I just want (and need) to make sure you & I are on the same page with what we’re dealing with here. This is not a message of fear (… though unresolved internal issues could interpret it that way). This is a heartfelt message & call-to-arms based on clinical realism … and shining our transmutational LIGHT on the possible negative timelines to transmute them out of existence. Timeline wars are VERY real. Let’s make sure this is the very last time Gaia’s timelines or Gaia’s grids will ever be hijacked. That’s the focus of this upcoming 144k Equinox Mass Meditation! Keep your powder dry … and get ready to stand your ground. …. because YOU’RE just as involved in this as the White Hats. To give you a taste of what it’ll be like during the mass arrests … There’ll be daily 144k mass meditations throughout the 3 to 14 day period … depending on how smoothly & orderly it all goes. 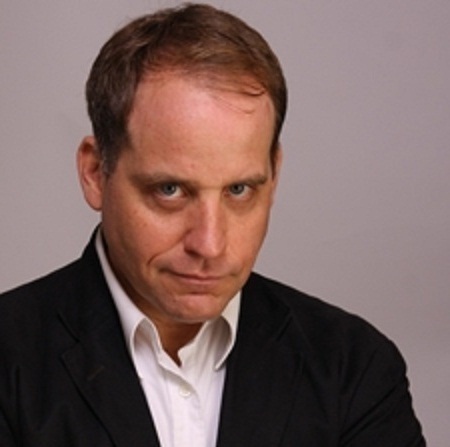 As Alex Jones always says … “if you’re receiving this transmission, you ARE the Resistance”. There’s already been a delay…..
… with the ‘National Emergency Test Broadcast’ being delayed till Oct 3rd, from the original Sept 20th date. This just goes to show it’s up to us to shut-down any further delays & negative timelines to the mass arrests, through our energy work/mass meditations. At the time mentioned above (9:15 EDT, and the times listed in the link above), click this Ground Crew Command radio link to join the live broadcast of this 144k mass meditation … And I’ll see you there! Onwards to Victory, Freedom, and Love! 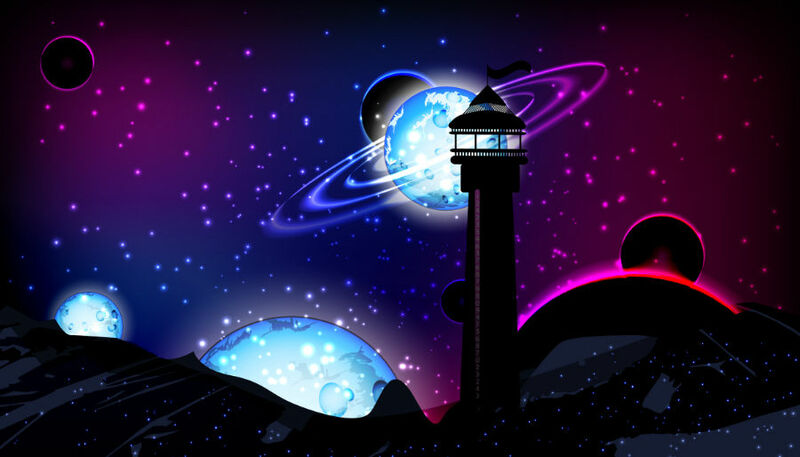 For more articles by the Unknown Lightwarrior…..